Bionicle Heroes is a 3D video game of the third-person shooter genre, based on Lego's popular Bionicle franchise. The game stars Bionicle's 2006 feature characters, the Toa Inika and the Piraka. Players must destroy enemies, solve puzzles in order to progress further, and throughout the game, maximize their individual special powers and gain better and deadlier weapons. 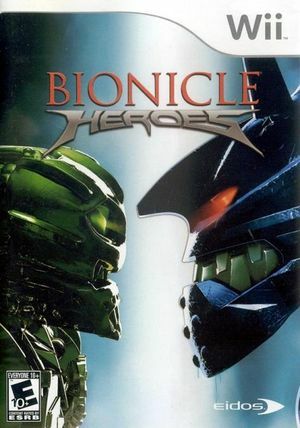 While the game is loosely based on the first part of the Bionicle Legends story arc; it is non-canonical and features several characters from previous arcs in the franchise. The default Wii Remote emulation restricts the range of IR pointer controls. The Controllers \ Emulated Wii Remote \ Motion Controls and IR \ IR \ Width setting must be increased to at least 80 allow aiming right. The graph below charts the compatibility with Bionicle Heroes since Dolphin's 2.0 release, listing revisions only where a compatibility change occurred. This page was last edited on 17 February 2018, at 16:44.